Hello! 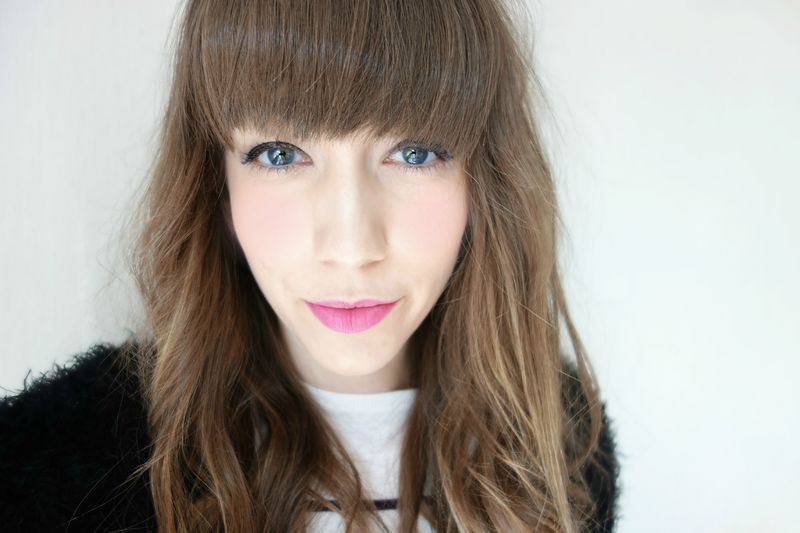 Because pink lipstick is taking over my life and makeup bag recently, I thought I’d bring you another little look featuring a favourite drugstore lippie. First up, I’ve been adoring using the Dior Glow Maximizer Primer, as it really does add a lot of radiance to the face. It looks pearlescent out of the tube, but once it’s applied to skin it just looks like your skin is glowing from the inside (wait, does that sound creepy?) so is perfect if you’re complexion is looking a bit dull. Over that I’ve been using my current favourite base, which is the Estee Lauder Double Wear Light Foundation as it does really give an even finish and a great amount of coverage. On my cheeks I’ve been using the new NARS Matte Multiple in shades Anguilla (a pink with a hint of peach) and Altai (a perfect contour shade for pale skin). They really are fantastic products, as all NARS products are, and are so easy to blend, giving a nice natural look to the skin. I’ve definitely got my eye on a few more shades! My eyes are kept simple by just using a bit of eyeliner and the NARS Narsissist Palette (third row from left, 2nd shade down) all over the lid. Finishing off my eyes is the lovely Rimmel Lash Accelerator Mascara, which I really love for adding volume and length to my lashes. My go-to lip shade of the moment has been the Revlon Colourburst Matte Balm in Elusive, which is a great blue toned bright pink. I love the formula of these and that they’re also pretty purse friendly! Four for you drugstore makeup, you go drugstore makeup. Aaand finally, I dusted over some By Terry Hyaluronic Hydra-powder as it’s one of my favourite ever finishing powders! It gives your skin a natural finish whilst blurring imperfections – ideal! So that’s my finished face, lord even knows why my hair is so frizzy! I think it was just having a moment. Anyway, I love the bright pink lip so will be continuing to reach for it throughout Spring and Summer. What makeup things are you loving at the moment? ps. fancy blog reading? take a peek at the following: The Life of Maisie and Spex & Lipstick!